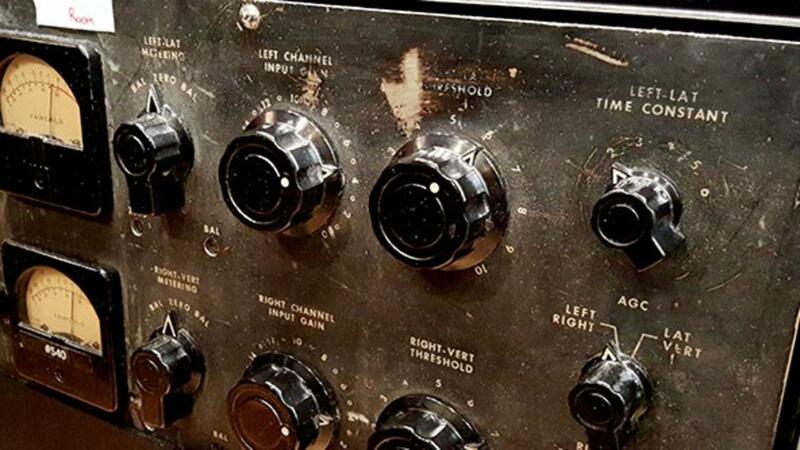 1) An original Fairchild 670 compressor. 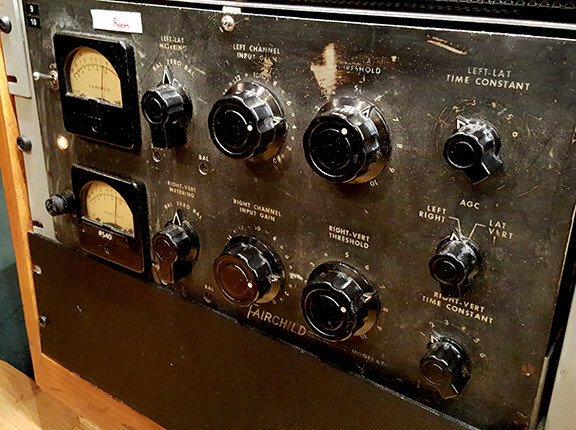 The 670 is the holy grail of outboard gear. They sound great and often sell for over $30,000 on the used market. 2) An original Neumann U47 tube microphone. Theses mics are legendary and many new mics are attempting to replicate the “magic” of the original U47. They often sell for over $12,000 used. I had dedicated the U47 to the main acoustic guitar. U47 into a Neve 1227 mic pre into an LA-3 compressor. This is a dream front end!!!!!!!!!!!! When I started listening to the guitarist playing, the guitar sounded beautiful ……… But it was not right. I needed a slightly thicker and a more forward sound to fit the kind of recording we were trying to make. So we swapped out the mic, I adjusted position and it was perfect. Everyone in the control room now loved the sound. The new mic was a Shure SM57. The Shure SM57 beat out a mic that cost over 100x times more. Does this mean the SM57 is a better mic than the U47? No. It means that the SM57 was the better choice for the creative vision of the project. On another project the U47 could have been the winner. (and it was the right choice for a resonator guitar we recorded the next day) People often make the mistake of assuming that the more expensive option is always the better choice, and this is a huge mistake. Microphones are just colors we get to paint with. Trusting your ears always beats out trusting a price tag. On a side note, we had one of the electric guitars miked with a Shure SM57 which has long been my favorite electric guitar mic. The SM57 did not sound great and I replaced it with a Beyer M500 that sounded much better. On a second electric guitar, the SM57 sounded perfect. I was even more excited about getting to work with the Fairchild 670!! Room mics are a big part of the drum sound for this project, so I dedicated the 670 to compressing the room mics for a killer vintage room sound. This was going to be amazing. Vintage RCA ribbon mics, into Neve mic pres, into a Fairchild 670. This was going to be vintage drum room Nirvana (the state of ultimate happiness, not the band). I was sure of it! We finished the first song which sounded really good, but as I was reviewing the tracks, I kept thinking the room mics did not sound as amazing as I thought they should, no matter how much I tried to convince myself they would. This dream signal chain had to sound the best....right? I made some adjustments to the 670, but still it was not the sound I was hoping for. The 670 was a great sounding unit in great condition. It just was not right. So, sadly, we unplugged the Fairchild 670 and patched in a stereo SSL compressor, which costs about 10% of a 670. After about 30 seconds of adjusting the SSL, I had the sound I was looking for. So it turned out that the secret to getting the vintage sound I was chasing was to dump the vintage compressor and go with something more modern sounding. Does this mean that the SSL is a better compressor than the Fairchild? Of course not. 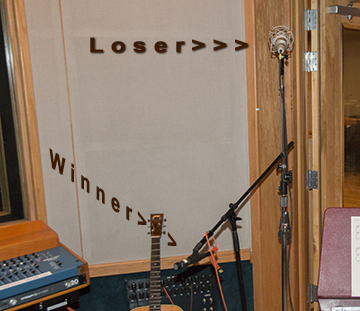 It is just a different tool and with that drummer, in that room on these songs, the SSL got us to the sound we wanted. The truth is the the Fairchild 670 and Neumann U47s are great peices of gear that I have used many times. There is a reason they have such great reputations, but never assume the more expensive gear is going to be the winner and never be afraid to try the mic or processing option that seems like it might be the wrong one. You might be surprised. 1) The event is taking place March 6th in Santa Monica and is going to be amazing! We have some of the biggest names in recording speaking involved (see below) and tickets are still only $27 before the end of the month. 2) We are raising money for a great cause!!! !